To add visual appeal to drinks for making dine and drink experience unforgettable, Coasters has become a wide reckoned method. Using best colour schemes, designs and styles of coasters, anyone can make an ordinary party to an extraordinary one. The experience becomes more enjoyable when the coasters are of Jute. 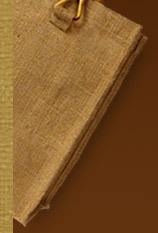 Jute coaster is a small piece of material made up of strongest fibre, Jute. They are widely used to prevent a glass of drink from coming into contact with the surface of the table and other materials. Jute coasters have evolved as a desirable handicraft item that enhances the beauty of the table setting of any establishments be it home, office, hotel, restaurant, and so on. Ideal to spell a difference in the decor of establishments, they add ethnic looks. With the striking designs and color combinations of these jute coasters, anyone can earn applaud from the visitors. They are available in earth tones in the set of four coasters. 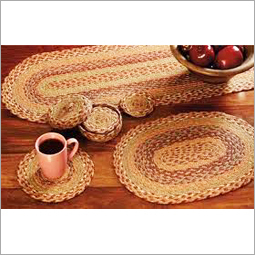 As they are designed from jute, they come with varied valuable features making them worth to buy. Jute coasters can easily absorb any spillage due to their thick and earthy texture. These are green and biodegradable products that can be easily cleaned. These types of easy to maintain table accessory comes at very affordable prices that make jute coasters one of the highly appreciating items in hotels as well as restaurants. Varied attractive motifs are added into them to make them more stylish and fanciful. Use of crochet work, lace work, patchwork, fine embroidery and various other interesting patterns makes them ideal to match any kind of interior. Jute coasters can also be presented as a gift for any occasion to near and dear ones. In addition to this, they also serve the purpose of promotion for businesses by giving as promotional items.